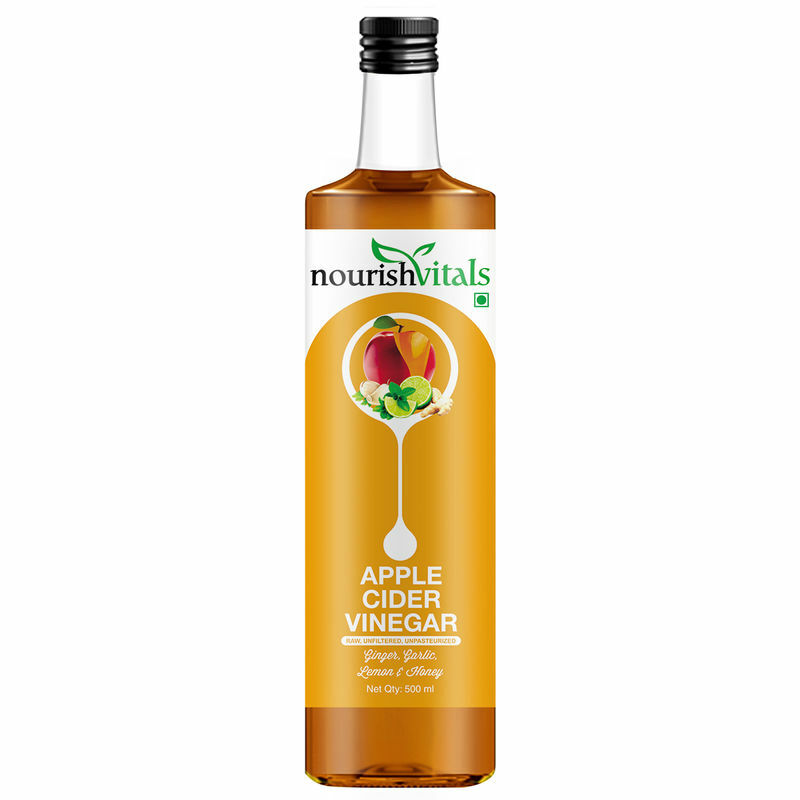 Freshly concocted with the finest quality of select apples grown in the orchard of the pristine hills of the Himalayas and "Mother" of vinegar, Nourish Vitals Apple Cider Vinegar is a pure apple juice that is a dietary supplement and a natural solution to your weight management. It is a pure apple juice fermented to 4 per cent acidity and contains no artificial colour, preservatives or flavours. Each of these five ingredients Ginger, Garlic, Lemon, Apple Cider Vinegar and Honey have individual benefits on their own and in this mixture, a synergistic effect enhances the properties of each. Additional Information: Nourish Vitals is known for offering organic, healthy food products, which are a boon to your fitness and immunity. 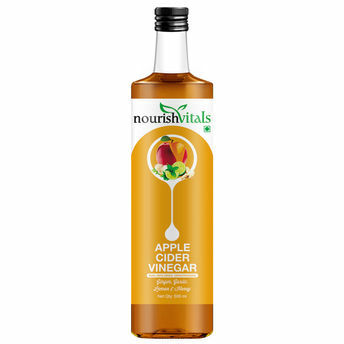 Say good bye to your weight issues with Nourish Vitals Apple Cider Vinegar with Ginger, Garlic, Lemon and Honey.